Unauthorized inquiries can hurt your credit score - and they're surprisingly common. Here are the errors to look out for and how to remove them. Like flossing or checking your tire pressure, checking your credit report for false inquiries is a smart habit to start. A false inquiry is any inquiry that you personally didn't authorize. They can negatively affect your credit. 1 in 5 Americans have these or other mistakes on their credit report, according to the Federal Trade Commission. Accurately locate them in your credit report. Submit a formal removal letter to the major credit bureaus. Keep reading to learn exactly how to do this. Contrary to popular belief, checking your own credit report or score will NOT impact your credit—period. There are two ways to review your credit: checking your credit score or getting a comprehensive credit report. But only your full credit report can help you identify false credit inquiries or other mistakes. See how below. You can check your credit score several different ways. Banks like Chase and Wells Fargo enable their customers to review their scores through their online account profile. Several websites also offer this service, including FreeCreditReport.com and CreditKarma. How does my credit score compare? Credit scores range from 0 and 850. A score above 700 is generally considered "Good," but the average credit score is currently 673. Your credit score can be improved over time. Credit reports detail your entire credit history—including which creditors have made inquiries. In the U.S., there are three major credit bureaus that collect reports. You can request a report from each bureau individually. But the easiest method is to visit AnnualCreditReport.com. This site is authorized by federal law to provide you with your credit reports from all three agencies at once. How often should I get a credit report? Federal law allows you to receive a free copy of your report from each credit bureau once every 12 months. It's recommended that you look over your report at least once per year. It's a good idea to get a report anytime you see a questionable change in your credit score. Additional reports can cost you between $12 and $18. Keep reading to understand the different kinds of credit inquiries and how they impact you. There are two types of credit inquiries. Both appear on your credit report, but only one can negatively impact your credit. These provide a short summary of a person's credit. They do not impact your credit score. Landlords looking at potential tenants. Employers doing employee background checks. Utility companies when registering new customers. Credit card companies when determining pre-approved offers. A creditor requests your full credit report to determine if you are a worthy financial risk (i.e., will actually pay back a loan). These require your direct permission to take place. Applying for a new credit card or line of credit. Financing a car or other expensive item. Refinancing or applying for a mortgage. Why does a hard inquiry impact your score? The number of hard inquiries on a report is partially used to calculate how much financial risk you hold. Each inquiry is basically a record of you saying, "I want this thing now, and I promise to pay you back later." The more you say that, the likelihood of you being able to keep your promise decreases—and therefore so does your credit score. Hard inquiries have a slight impact on your score, usually a drop of between 1 and 5 points. False hard inquiries, that is, ones you didn't authorize, can further weaken your credit. Since inquiries are essentially requests for new lines of credit, they fit under the "New Credit" category. All inquiries on your report show the company that made the inquiry and the date. Look for unrecognizable companies, odd dates, or duplicates. These are all signs of a false inquiry. Checking for consistency between all three reports may also help highlight errors. But not all inquiries are sent to all three credit bureaus. A false inquiry may only appear in one. Make copies of the reports with the false inquiries. On the copies, mark the errors by highlighting or circling them. Write down the companies that issued the false inquiries. If you have proof that an inquiry was false, make copies of that as well. If you are unsure if an inquiry is false, or you lack any tangible evidence, contact the company that issued the inquiry and ask them to provide the proof. Federal law states that when you ask a company to provide proof about an inquiry they made, they have 30 days to comply. If they are unable to provide evidence or they take longer than 30 days to respond, then you have grounds to get the inquiry removed. Therefore, it is important to keep time-stamped records of your communication with the company or creditor. An email can suffice, but a certified letter to the company headquarters is even better. Exactly which inquiries you're questioning and the dates they occurred. The fact that you will act accordingly if evidence is not provided within the 30-day deadline. Companies are generally slow when handling these requests. Asserting the 30-day deadline can hopefully make them act with some urgency. Once you know which inquiries on your report are false, it's time to send a formal removal letter. Keep reading to learn how. A removal letter is a formal request to the credit bureaus to have an inquiry wiped from your record. You can only submit a removal letter for false or unauthorized inquiries—any inquiry you did authorize will stay on your record. After reviewing my credit report from [insert report bureau], I have noticed that the report shows [insert number] credit inquires that I did not authorize. On June 19th, 2017, Company ABC issued an inquiry. I could not have authorized the inquiry as I was undergoing surgery at the time. Please see attached documents for verification. Please investigate and remove these inquiries as quickly as possible. In the near future, I will be applying for a car loan and it is important that my credit score accurately reflects my credit standing. If you come across any evidence that counters my claim, please send me a copy. Thank you for your diligence in looking into this issue. Every credit bureau that provided a report with errors needs to be sent a formal removal letter and supporting documentation. If different reports show different errors, make sure your letters properly reflect this. TIP: Send one letter for ALL mistakes found in a specific credit report. You don't need a separate letter for each mistake. However, you WILL need to submit a letter to each bureau for the mistakes in their report. In other words, you may send up to three letters in total. Copies of your credit report with the errors clearly highlighted. Any evidence to support your claims. Proof you reached out to the companies in question. Proof of your identity (copy of state I.D. or drivers license). TIP: Your social security number is not required, but this extra bit of identification may help credit bureaus find your account information faster. 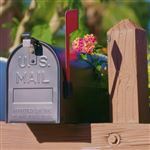 Be sure to send your letter and all supporting documents by certified mail. It's important to keep records of everything you send and when you send it so that you can follow up. Once you submit your letter, expect to hear back from the credit bureaus within the next few weeks. But it can take up to 60 days for changes to be made to your report. If someone else authorized a credit inquiry under your name, you have likely been the victim of identity theft. An identity theft complaint needs to be made directly to the Federal Trade Commission. Here's a step-by-step guide to help you through the process. File a report at IdentityTheft.gov: The site will ask you to answer a number of questions to determine exactly what happened. Everyone's situation is slightly different, and so the process for dealing with identity theft will vary. The questions are designed to create a personalized recovery plan. Examples of where and when the identity theft took place (e.g., a copy of your credit report with the issues highlighted). Any evidence that strengthens your claim. Often, the FTC will have you submit a formal letter with a format similar to the Credit Removal Letter. If that's the case, they will provide you the exact details to include in the letter and who to send it to. Afterwards, be sure to follow their progress and comply with any additional requirements. It will be a long back and forth of information and paperwork between you and the government. Identity theft cases can be quite complicated. Your case may also involve additional steps. Track your progress through the same site you filed the report through. Stay attentive and diligent. File an official police report: Print out a copy of the report you filed through IdentityTheft.gov and take it to your local police department. They will have you file an official police report there. Identity theft is a crime—treat it as such. 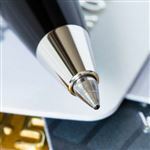 Put a freeze on your credit: A freeze prevents credit inquiries without absolute proof of your identity. Credit freezes can last from 90 days to up to 7 years. You need to initiate them online through EACH of the three major credit bureaus: Equifax, TransUnion, and Experian. Identity theft is a very serious crime. Cases can take up to a year to be resolved. Be patient and follow the FTC's steps carefully to resolve the matter. Keep reading for answers to some common questions about false inquiry removals. If I cosign a loan, will I have an inquiry on my report? Yes. If you're cosigning a loan for someone else, then a hard credit inquiry will be issued. Your credit score will be affected. My false inquiry claim was disputed by a company. Now what? If a company disputes your claim, then it is THEIR responsibility to provide evidence backing their claim. If they provide no evidence, then you have grounds to get the inquiry removed. When writing your letter to the credit bureaus, state that the company disputed your claim but was unable to provide any evidence. Is there a time limit for disputing a false inquiry? Hard inquiries only impact your score for 1 year but stay on your report for 2 years. You can submit a removal claim anytime within that 2-year period. Since the whole process can take several weeks, the sooner the better. Removing false inquiries and mistakes can be a time-consuming process. But staying diligent and reporting any inquiry errors will ensure you have the credit score you deserve. Follow our step-by-step guide to resolve the issue as quickly and painlessly as possible. The average credit score is at an all-time high of 704. But scores vary for car buyers, new homeowners and even the young and old. How do you compare? Share on Facebook "How to Remove Inquiries from a Credit Report"